China's attempt to reinterpret the rules governing Hong Kong has sent tens of thousands into the streets in a protest with echoes of Tiananmen and an anthem — 'Do you hear the people sing? — straight out of Les Misérables, Patrick Brown writes. We have seen this before — Chinese students calling their rulers to account, capturing the imagination of ordinary people with their infectious idealism and drawing huge crowds out onto the streets to challenge the all-powerful Communist Party. In 1989, students in Beijing took their demands to Tiananmen Square, the political heart of China. In 2014, the students of Hong Kong have focused on Central, the business district that is the territory's economic engine. In two huge demonstrations over the past month, Hong Kong students have called on Beijing to keep its promise to extend democracy by allowing the election of Hong Kong's head of government through universal suffrage — instead of by what's essentially a stacked deck. The first of these was an elaborate mock referendum in which almost 800,000 people, one-fifth of Hong Kong's electorate, took part. The result was heavily in favour of a general election to choose the next chief executive in 2017. Under the present rules, the only votes are cast by a committee of 1,200 people selected largely on the basis of their unqualified support for Beijing. 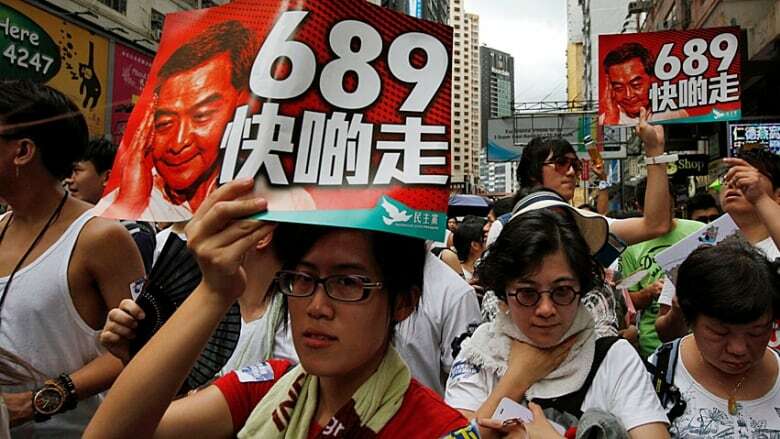 The current chief executive, Leung Chun-Ying, is known contemptuously as "689" — for the number of people on the committee who voted for him in 2012. 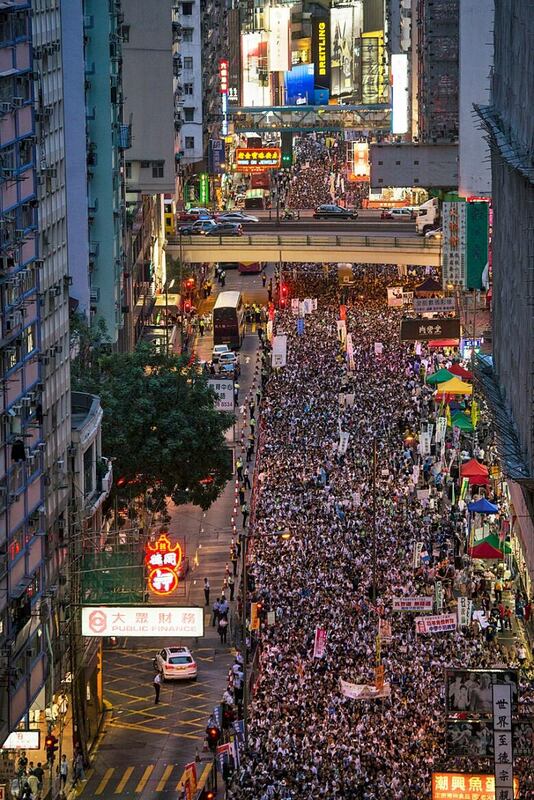 The second demonstration was a march to the Central financial district on July 1, and was one of the biggest street demonstrations since China took control of Hong Kong on that date in 1997. Broadcasting from Hong Kong then, as British sovereignty ended and Chinese rule began, I reported over the din of the fireworks that many were greeting their transition from British colonial subjects to citizens of the Peoples' Republic with confidence and enthusiasm, while others had misgivings. Beijing had promised to maintain Hong Kong's institutions, rights and freedoms unchanged for 50 years. I was among those who had doubts that the Communist Party politburo would keep its word. As the years passed, and the Chinese government seemed, by and large, to stick to its promise of "one country, two systems," it was a pleasure to have some of those doubts removed. Now they're back. One of the world's most amazing cities, with a magical combination of orderly administration and commercial genius, Hong Kong also has a strong contrarian streak. In Hong Kong, the right to protest is vigorously exercised, and numerous demonstrations, big and small, on an astonishing variety of issues are a part of city life, and a litmus test of Beijing's tolerance. But China's reaction to the planned student referendum was to issue a lengthy position paper, laying out Beijing's interpretation of the Basic Law that is the equivalent of a constitution for Hong Kong. It was necessary, China said, to correct "a lopsided and confused understanding" of what is meant by one country, two systems. As China now says, the promise of "a high degree of autonomy" meant only such autonomy as the central government is willing to allow, and that will not include an open election for chief executive. Beijing is willing to allow more people to vote, it has said. But it will retain control of which candidates are allowed to run. In other words, elections are fine so long as the result is predetermined. What's more, candidates must be "patriotic," which in the Communist Party's lexicon excludes anyone who does not support the party. One of the most interesting windows into the opaque world of what China's leaders are thinking is a website called Weiboscope run by the Journalism and Media Studies Centre at Hong Kong University. It tracks which posts on the microblogging services known as Weibo, mainland China's versions of Twitter, are being deleted by the censors. Since Weiboscope measures what people on the Chinese mainland are forbidden to read and discuss, it is a strong indication of which issues the Communist Party feels are most threatening to its rule. 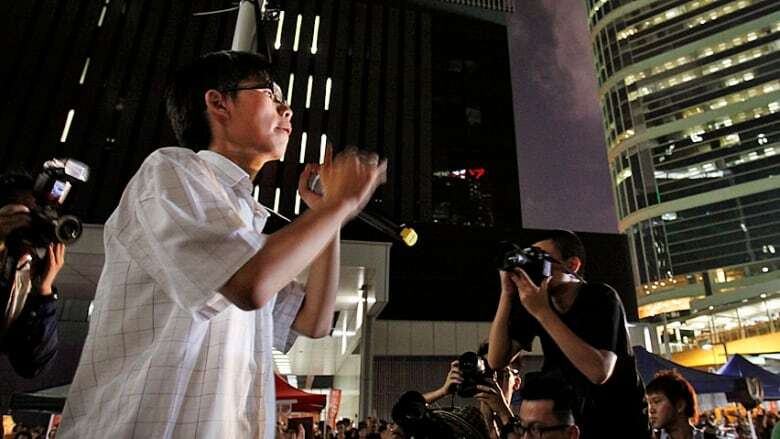 As hundreds of thousands of people followed student leaders out on to the rainy streets of Hong Kong on July 1, Weiboscope's censorship index broke the record set by the previous most-censored event — the 25th anniversary of the Tiananmen massacre on June 4th. The censors were particularly concerned to stop circulation of the demonstrators' anthem, "Do you hear the people sing," a jaunty revolutionary tune from the musical Les Misérables, with Cantonese lyrics. The most prominent of the student leaders is Joshua Wong, a 17 year old with a gift for deft smackdowns of the sycophants invited to debate him. He was born in the year of the handover, and while previous protests here were led by cautious lawyers, journalists or trade unionists who grew up as British colonial subjects, these demonstrations are something new. They are being led by young people who grew up as citizens of the People's Republic of China, standing up to claim their rights with all the fearless certainty of their predecessors at Tiananmen Square. They are also warning that they will bring the global economic powerhouse that is Hong Kong to a standstill if they are to be denied. With the Hong Kong government preparing to reveal details of its plans for the 2017 election, the stage is now set for a much more dangerous confrontation. Last week's protests ended peacefully on schedule just before Central opened for business. The organizers say that was a dress rehearsal for a full-scale Occupy Central movement if the election rules are to be rigged. In response, Beijing has begun warning that the protests are inspired by foreign, "anti-China" forces, an indication that it is not inclined to make concessions. No wonder the censors are working overtime.